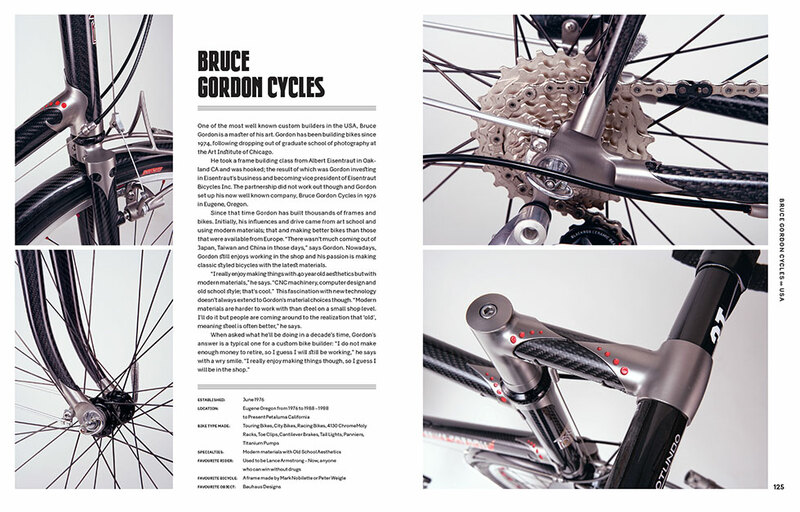 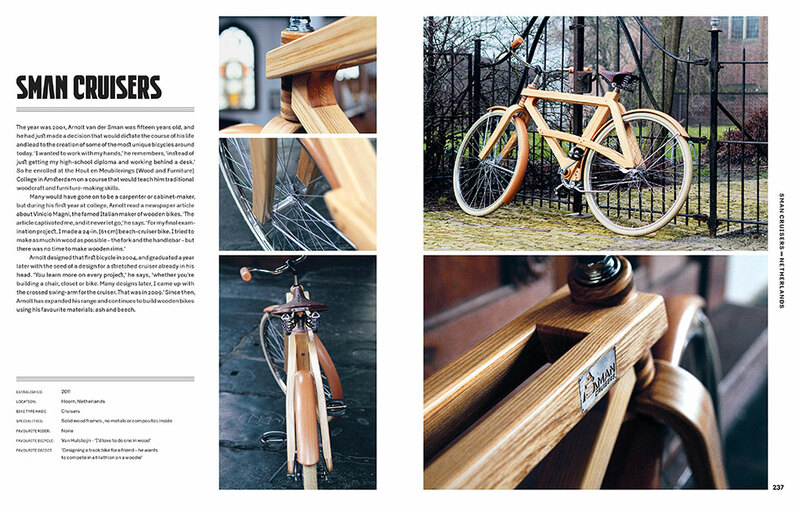 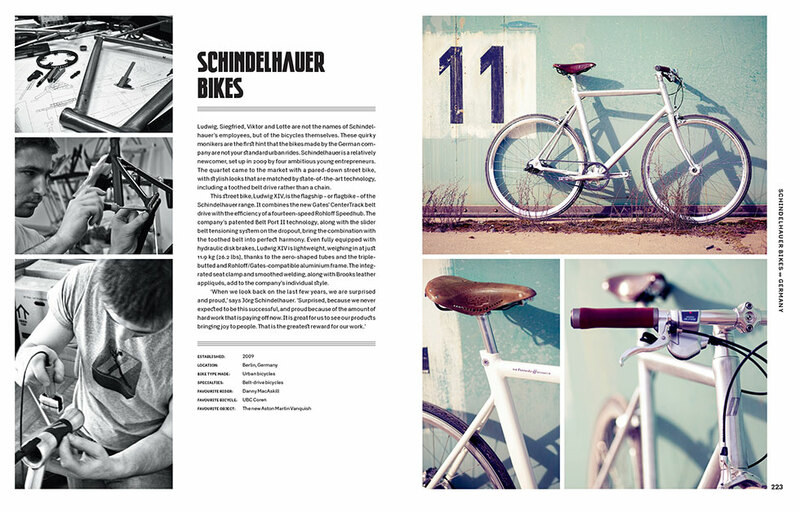 The Bicycle Artisans features 88 of the best, most unique builders from around the globe. 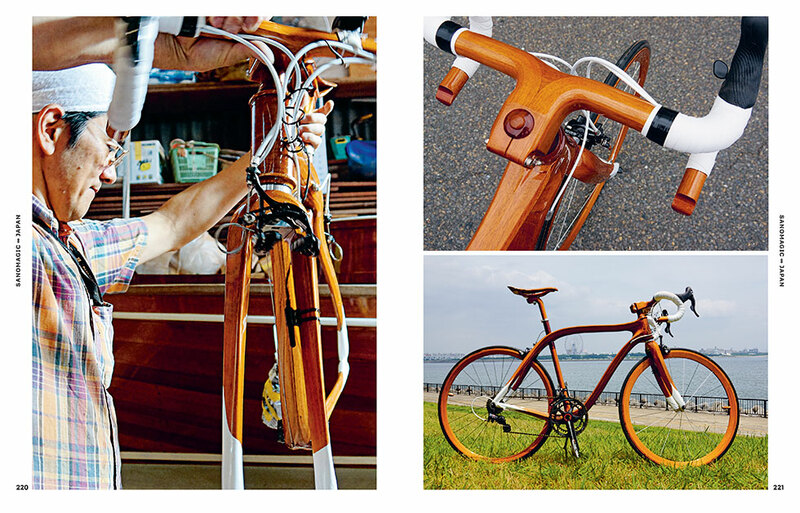 These bike-makers are producing for an audience thirsty for highly personalized rides that cater to their diverse needs and riding styles. 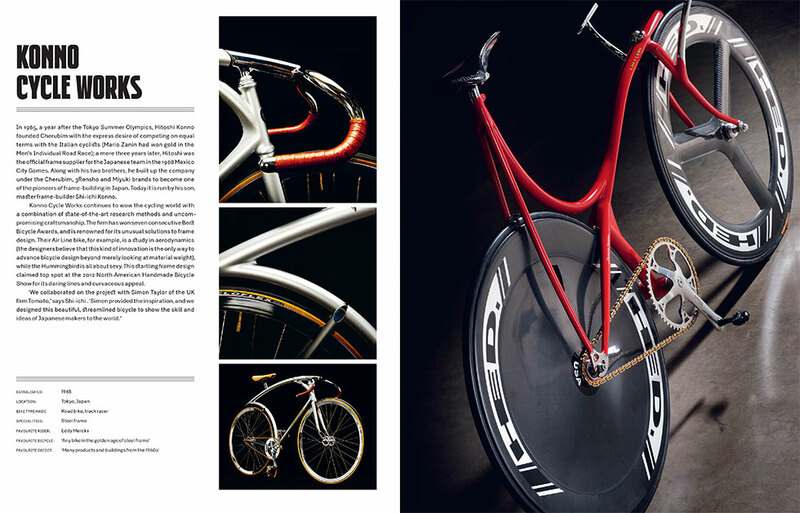 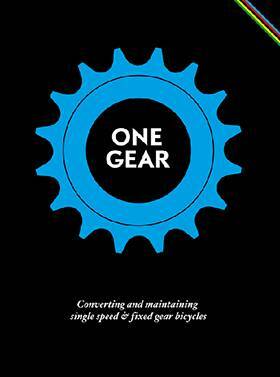 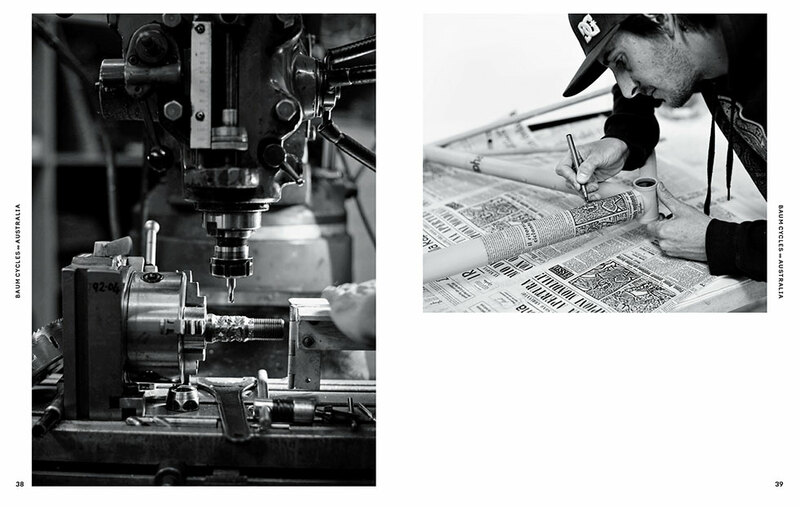 Often working in tiny studios and hidden workshops, these master craftsmen — some of whom have been refining their art for decades — produce bicycles that are highly personal as well as highly sought-after. 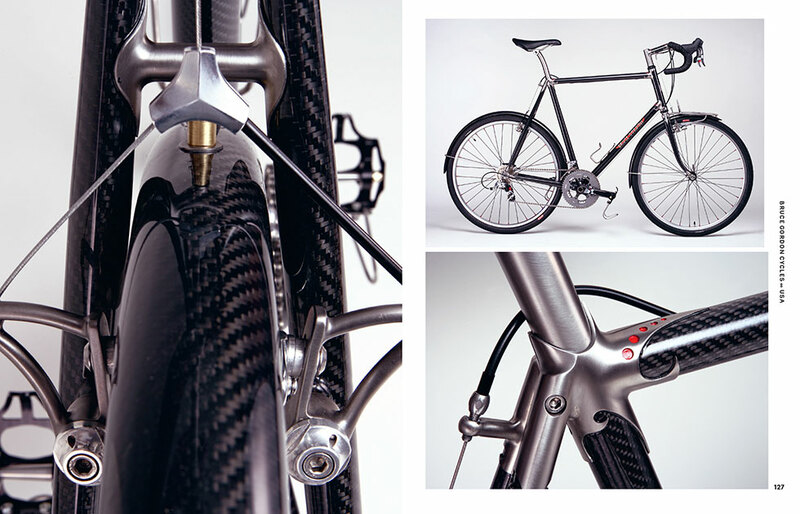 Many of the featured builders have attained cult status through a particular detail, such as an elegantly fashioned lug, a mysterious design element, or by cleverly employing materials or techniques from other industries. 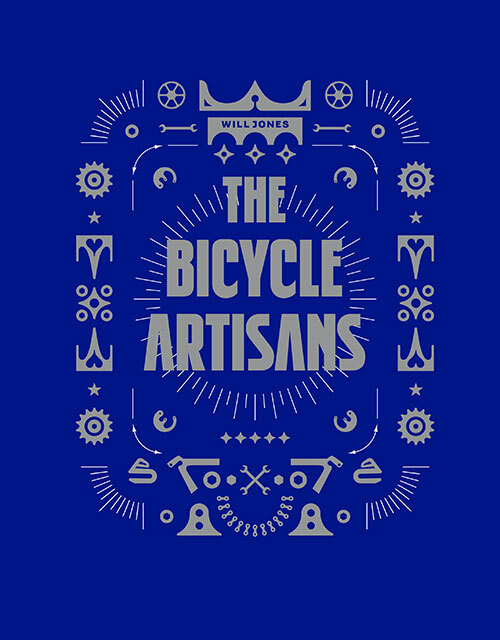 Presented alphabetically, many of these artisans flourish purely through word of mouth and are little known outside a small group of aficionados and enthusiasts.